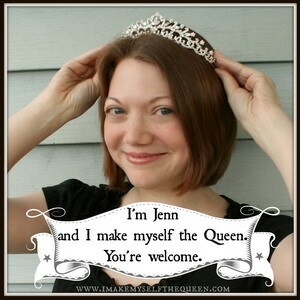 Hi, I am Jenn, the self-proclaimed Queen of Random. I blog and vlog because the voices in my head tell me to. 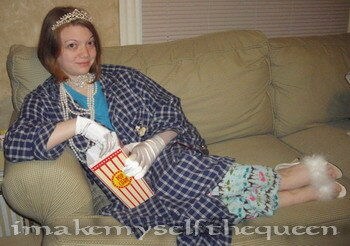 My goal is to conquer the blogosphere with mediocre posts about my dull life and ultimately rule the world. 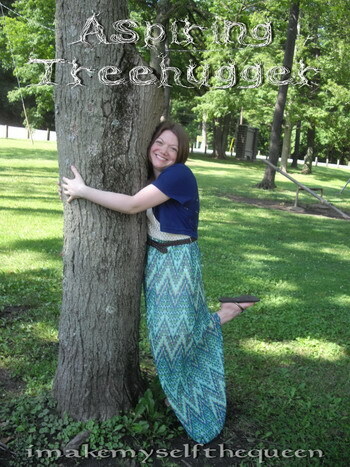 My first 10 posts are funny-ish, so I like to call this a humor blog. And I use the term “humor” loosely. Very, very loosely. I’m going to write some things about some stuff and you’re going to read it. This blog doesn’t make any sense or seem to have any real purpose. It is pointless, sarcastic, and a giant waste of your time. But you should probably read it anyway. …but I’m not above shoving my mouth full of free candy. 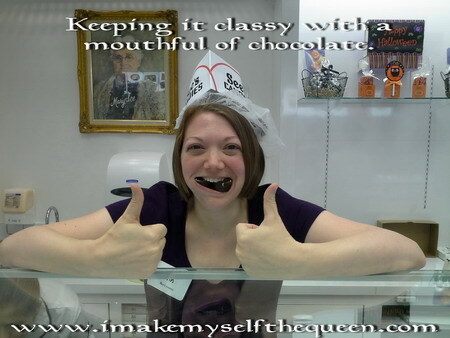 Because, ya know, chocolate. And priorities. I have two kids and a man that follow me around. The girl is 4.5, the boy is 2, that dude’s been hanging around me for the past decade-ish. They’re cute and all…but this blog isn’t about them. It’s about me. Try to contain your excitement. I’m a birth and breastfeeding nerd. I think placentas are rad. I’ve never eaten one but it’s on my bucket list (just kidding…sorta). I’m an organized, detailed, list-making, (recovering) control freak. I’m a domestically challenged stay-at-castle-mom that doesn’t know how to cook and hates to clean (Wouldn’t you like to come over to my dirty house for dinner? I’ll be serving nothing with a side of homemade nothing. I’ll be wearing the same booger and banana covered pajamas I did yesterday. Some of those boogers will belong to the children. Yum!). Oh, and I also have an adult-sized onesie. I think I’m hilarious, although I may be the only one. By royal decree you must find me amusing or forever be banished! 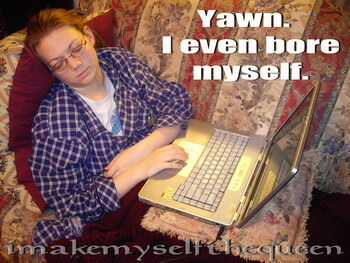 I Make Myself the Queen is an itty-bitty newborn blog. and be sure to come back often to tell it how cute it is! Read my family blog www.coolestfamilyontheblock.com. LOL Love this! The thought bubbles rock and I totally plan to rule the world with my randomness as well. Suppose we raise our armies and fight? Or not… the kids are far too loud already. This is great! I love the hilarious pictures and cannot wait to read more! I love the story behind the blog and the fact that you shared it here. How old are your kids, though? I know if I’m reading your posts about feeding organics to kids and breastfeeding, I will want to know how well we can relate in mommy-terms (does that even make sense?). Great finding you through the Blogtober challenge today! Thanks, Heather! Good tip about the kids, they are 4years old and 20months. I actually included them on my “about” page on my family blog but had neglected them over here. I made some changes above per your suggestion…let me know what you think, does it flow well with the rest of the page? So funny! 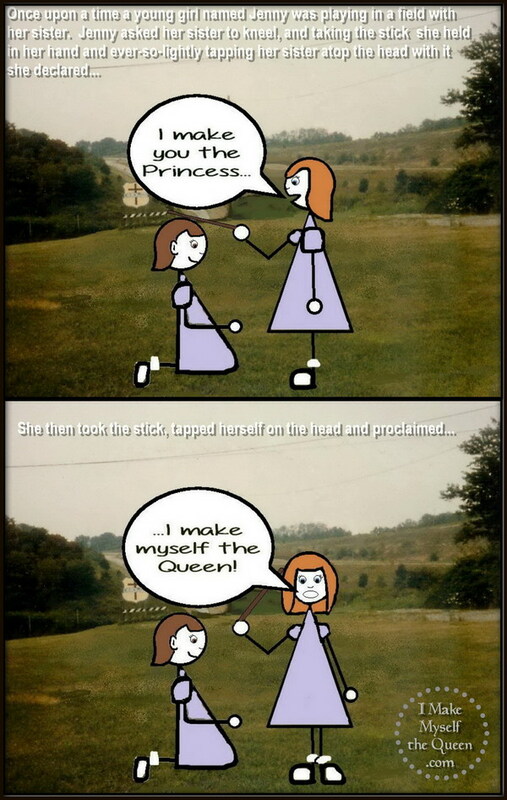 I see you don’t wear your tiara all the time! Your subjects must appreciate how down to earth you are! 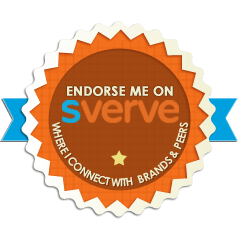 – from a fellow newbie blogger…. 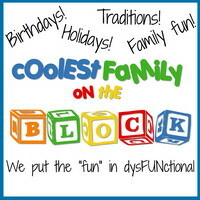 I’ve actually been blogging for years at http://www.coolestfamilyontheblock.com, but this blog is new. I figured I may as well neglect two blogs rather than just one!